Chalk and Chew, huh ?!?!? If you are my friend on FaceBook, I am positive you have heard me talk about ‘Chalk and Chew’ at the Tamaqua Community Arts Center in Tamaqua Pa and then you scratch your head and wonder, What is this you speak of Amy? With the popularity of Entertainment Art and the age of instant ‘everything’, I wanted to get back to the basics of learning Art in a sneaky entertainment~instantly gratifying~kind of way. Something for all folks to enjoy from the beginner to the experienced, something to focus on learning, something to focus on Community and most of all building friendships thru Art. That is a tall order…..and The Chalk and Chew Workshops were created for our local Art Center! The ‘Chalk’ was developed out of my love for vintage chalkboards, chalkboard art and typography, and a passion for colored penciling, Decorative Art style. The process is simple enough for anyone to achieve, created in my own style to introduce friends to artistic skills and techniques, while still creating a nice piece within a 2 hour time period. The ‘Chew’~ is for our love of Community, involving our local bakeries~ who provide a delicious sweet treat for each Workshop! We also play fun upbeat music. Creatively entertaining all of our senses. It came together as….‘Chalk and Chew’. 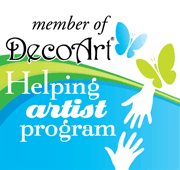 The catchy name was created by Irene of The Tamaqua Community Art Center. My good friend Tracy helps teach the technique. We held our first Workshop in October 2015….and it has caught on with Workshops every month, special holidays and for private parties! There are always repeat friends bringing in new friends…..in my book, that is a good thing. This is how it’s done…. We begin with the typical chalkboard background made to look worn and vintage onto a wood canvas (The wood canvas is cut by a local wood worker, who is working his way thru college to be a Cabinet maker!). This is created with DecoArt Chalkboard Paint and different Greys for aging. We then transfer the design and create with a white colored pencil, when the pencil hits the wood it is grainy like chalk……..this is a good thing. Depending on the project we may add glitter, pastel or paper! The biggest misconception is that your work can be erased…..no worries, it will not erase! Recently we added a few colors……to shake things up! If you are not local to Tamaqua, PA, the patterns created for the Chalk and Chew Workshops can be found here…..with more being added each month. You will also find a few patterns and ideas right here on this blog, Free! Our next ‘Chalk and Chew Workshop’ is Feb 8 2017 at the Tamaqua Community Art Center, Tamaqua Pa….the place to be. Small Town with a Big Heart. Come and join us….what are you waiting for? like what you see? 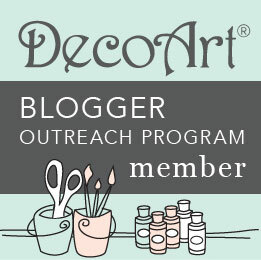 Add your email address to the blog page for instant post updates! What a wonderful way to introduce others to art while enjoying the great gift of friendship. the Chalk and Chews give us the opportunity to connect as a community and friends! A win-win! Thank you Jane! ← He laughs at my plans….